DoubleLine CEO Jeffrey Gundlach says the market is not terribly concerned on the long end when it comes to interest rates. 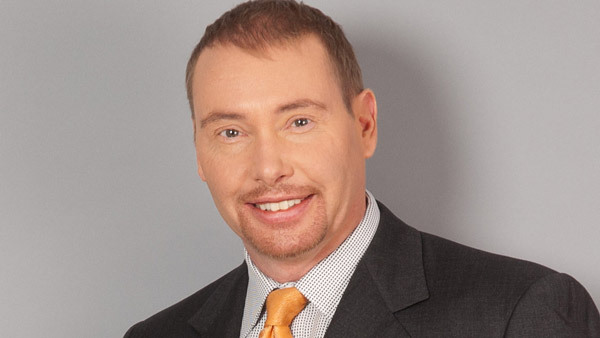 DoubleLine CEO Jeffrey Gundlach remains bullish on U.S. bonds. DoubleLine CEO Jeffrey Gundlach doubled down on his believe that interest rates are unlikely to rise in the near future on a webinar Wednesday. “I’m virtually certain that Janet Yellen does not want to raise interest rates,” Gundlach said during the recent call. These comments build on what the bond expert said last week, when he predicted that the 10-year U.S. Treasury yields would stay between 2.2% and 2.8% for the rest of the year. Yellen and others are watching inflationary pressures carefully, of course. But the idea that inflation is likely to provoke a big jump in interest rates is “at least five years too early,” he says. In the short run, European bond rates have been coming down due to economic weakness and deflation, pushing investors into U.S. Treasuries, which are outperforming their European counterparts by 150 basis points in some cases, he notes. Purchasing on the part of non-U.S. buyers of bonds is largely offsetting any effects on the market for tapering, Gundlach adds. This buying is up $600 billion year to date over last year. As he said last week, the key indicators for bond investors to watch are European bond yields, “which I think have bottomed, but you have to watch to see if they rise substantially,” he explains. Earlier, he described them as “impossibly low” vs. those of the U.S.
Again, he reminded webcast attendees that he isn’t looking for such a scenario to take place over the next six months. Discussing two DoubleLine closed-end funds, Opportunistic Credit (DBL) and Income Solutions (DSL), he shared his bullish view on dollar-denominated corporate emerging-markets debt. “This is my favorite,” Gundlach said. Other key holdings in the closed-end funds include mortgage-backed securities and high-yield bonds. “Yes, [some high yields] are volatile, but we got in at an opportunistic time,” the bond specialist said, adding that these holdings are up 6.4% so far in 2014. The funds also have stakes in collateralized loan obligations, commercial mortgage-backed securities — which have generated “substantial profits” for DoubleLine, he says — and bank loans. Gundlach discussed one of the DoubleLine’s “big winners” last week as being convertible bonds, up 11% in 2014, after rising 26.6% in 2013. He also pointed to emerging-market debt’s improvement of 10-plus% year to date, following its 2013 decline of about 5.8%. High-yield bonds are having a good year, with an uptick of over 5% year to date vs. roughly 7.4% for last year.